Please note that the content of this book primarily consists of articles available from Wikipedia or other free sources online. 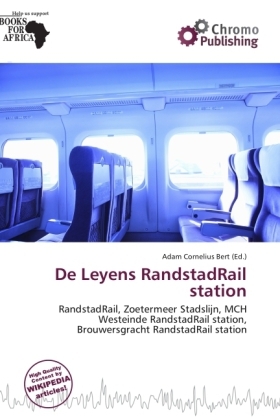 De Leyens is a RandstadRail station in Zoetermeer, The Netherlands, The Netherlands. The station opened, as a railway station, on 29 September 1979 as part of the Zoetermeerlijn, operating Zoetermeer Stadslijn services. The train station closed on 3 June 2006 and reopened as a RandstadRail station on 29 October 2007. The station features 2 platforms. These platforms are low, and the same level as the tram doors, therefore making it step free.